Sometimes, personal interest and experience lead to expertise. 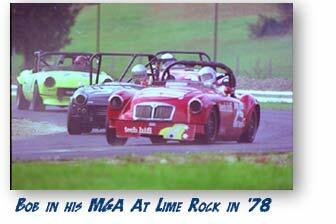 With over thirty years as an active competitor in SCCA Club racing, Bob Beaulieu will steer your motorsports marketing in the right direction. From direct mail to print advertising and trade show promotion, we’ve accelerated our clients’ success to the winners’ circle. Snapdragon Motorsports A restored historic building in Amherst, MA is the home of New England’s leading precise formula race car preparation and fabrication shop. 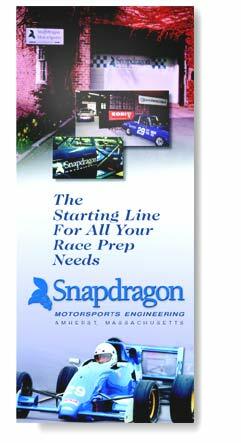 Snapdragon’s dedication and sharp attention to detail was communicated through an advertising and direct mail campaign that drove customers who craved the cutting edge to the door of Snapdragon Motorsports. SSC Northeast SSC Northeast needed a complete marketing packageto position it for optimum speed on the business fast track. 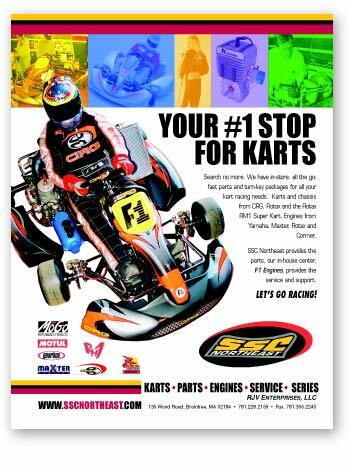 Promotional flyers and print ads lead to the corporate debut at national Kart shows. An extensively designed web site delivers a great first—and lasting—impression building a superior brand relationship and repeat business. 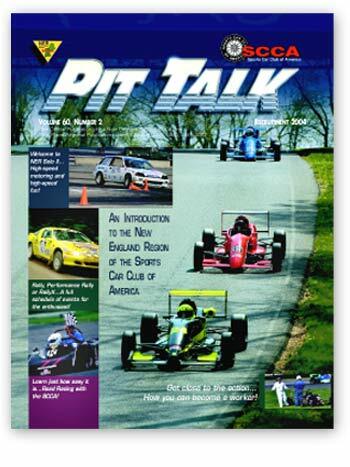 PIT TALK Magazine is the monthly publication of the New England Region of the Sports Car Club of America. For over 10 years, Beaulieu has been responsible for the design, editorial content, advertising, production and publishing of this award-winning publication. Voted the #1 Publication in the SCCA for three consecutive years. Knight Motorsports These experienced insurance brokers wanted to break into the Motorsports business, specifically indoor and outdoor kart racing facilities. Our experience with these facilities, both on and off the track helped get Knight Motorsports launched on the right track with little in the budget to spare. We cut to the chase, creating a strong logo and imagery relating to the industry they were targeting—at trade shows and through direct mail. 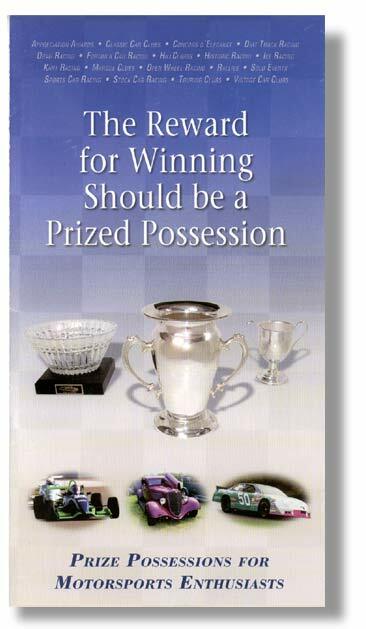 Prize Possessions After successfully supplyingthe golf industry with prestigious awards products for years, Prize Possessions decided to steer their business in a whole new direction: Motorsports. To whom did they turn for their marketing magic? The firm with true, "hands-on" experience, Beaulieu Advertising & Design. Using all the right connections, we compiled a list of prospects and designed their capabilities brochure with all the right messaging. The result? Prize Possessions has secured its spot on the fast track, becoming the vendor of choice for one of the largest motorsports sanctioning bodies in the US! KISS Barrier Systems A unique safety systemused in many indoor and outdoor kart facilities. When the client came to us for marketing.. we said lets keep it simple. So a brand image was initiated...Kart Impact Safety Systems! Full copy perspective, promotion of collateral, advertising and web design to include unique animation and video were incorporated. F1 Outdoors F1 Outdoors, although part of the F1 Boston Corporation, F1 Outdoors presented a whole new perspective of marketing. Retaining a similar look as F1 Boston, different challenges were marketed to the public as well as promoting more to the dedicated kart racing community.